Mat Monkeys take children from age 7 until they leave Primary school. The emphasis is on gross motor skill development – big movements of big limbs. We develop balance and timing, but most importantly, the children learn to cope with the pressure of close contact grappling and sparring. Groundwork, striking & grappling skills are taught through gameplay and drilled repeatedly. By the time club members reach second level education, they’re ready to start taking on fundamental concepts and develop their individual combat strategies. Groundwork, striking & grappling skills are now fine tuned and they are shown fine adjustments to make their techniques more effective. Generally, the training becomes more physical, with an emphasis on problem -solving and thinking quickly to counter or escape any opponent’s movement . First, our motto is -- "Play as the Way". Training must be fun. Students learn by doing. They develop skills through a programme of regular, partnered training. Second, Train like sport to prepare for self defence. This means our Junior Club training looks a lot like other sports, such as soccer. We believe that Martial Arts can be of great benefit to children if the environment is right. Through game playing children develop essential skills, gain confidence, foster their creativity, and have fun whilst doing so. No rote memorization, No yelling. No kata. No stylized techniques. The goal of discipline in our class is to instill self-discipline in children, not mere obedience. This is a process and it takes time to accomplish, but the positive feedback children receive in class is a powerful motivator that can gradually transform their behaviour over time. 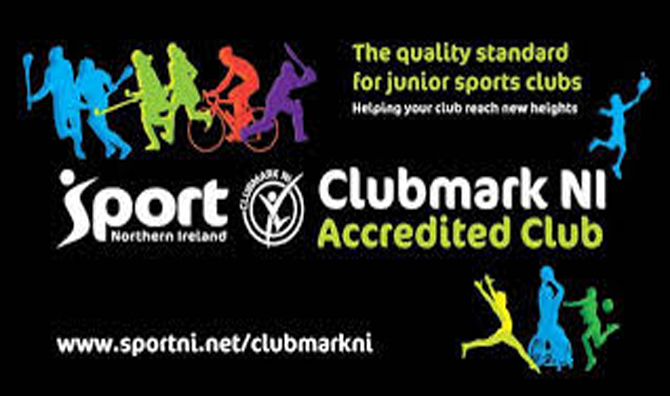 Sport Northern Ireland values the essential and significant role that sports clubs play in the development of sport. They provide outlets for participation, while also providing quality environments for talented young athletes to develop. The competitive opportunities offered by clubs are yet another key opportunity for participation and development. It shows that a Club provides the right environment which ensures the welfare of members and encourages everyone to enjoy sport and stay involved throughout their lives. An accredited Club is recognised as a safe, rewarding and fulfilling place for participants of all ages as well as helping parents and carers know that they're choosing the right Club for their young people. 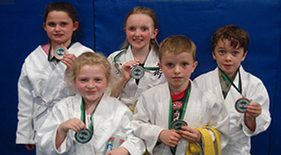 The club provides opportunities for young people from age 7+ to receive coaching, exercise , skills development and access to a wide range of martial arts activities. All classes are delivered by qualified coaches who are trained and have been screened for their suitability for working with young people. We are committed to providing the highest safety standards, top quality coaching and a professional ‘club experience’. We welcome parents as observers at all our training sessions and value your support throughout the year, but especially at gradings and on competition trips . We are keen to involve parents in the club's external events, so please feel free to speak to any of the coaches or committee members about the club, how competitions are organized and how you could be of help! We are fully committed to safeguarding the well being of our members. All members should show respect and understanding for the rights, safety and welfare of others, and conduct themselves in a way that reflects the principles of the club. We believe that taking part in Martial Arts practice should be a positive and enjoyable part of children's lives. 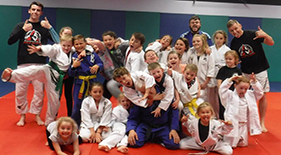 It is the policy of Merville Ju-Jitsu Club that all members, coaches, volunteers and parents show respect and understanding for each other and conduct themselves in a way that reflects the principles of the club. The aim is for all members to practice functional martial arts in a family friendly atmosphere, encouraging all to improve performance and enjoy their training. Everyone involved must abide by the club rules and policies. Breaches of the code of conduct should be reported to any committee member who will bring them to the attention of the wider team to be managed within the existing rules of the club.